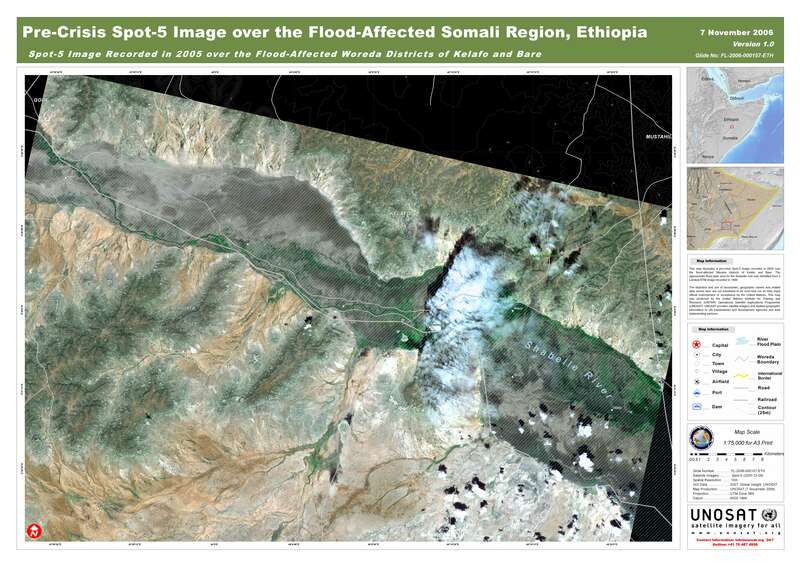 Spot-5 Image Recorded in 2005 over the Flood-Affected Woreda Districts of Kelafo and Bare. Note: This map was designed for A0 poster size hardcopies. For A3 size version, please see below.